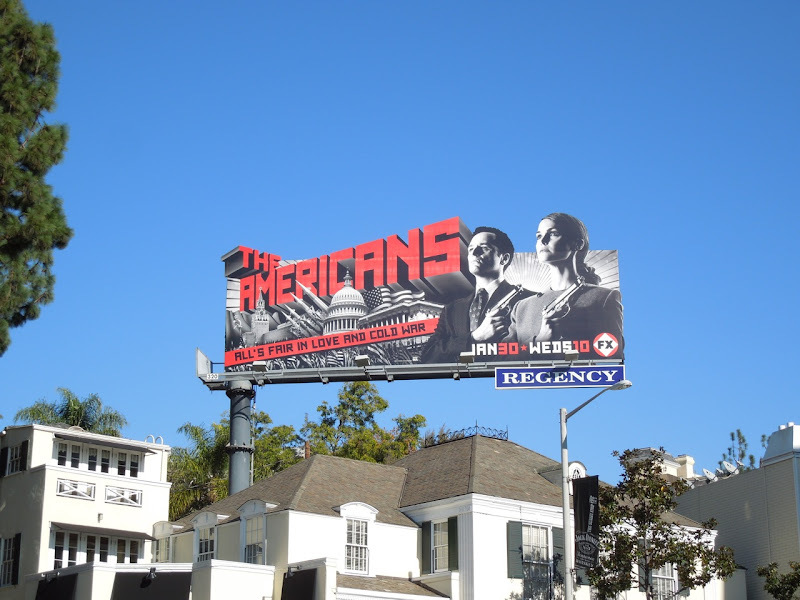 Don't you think this striking billboard for The Americans is a great way to kick off another week of creative visuals. 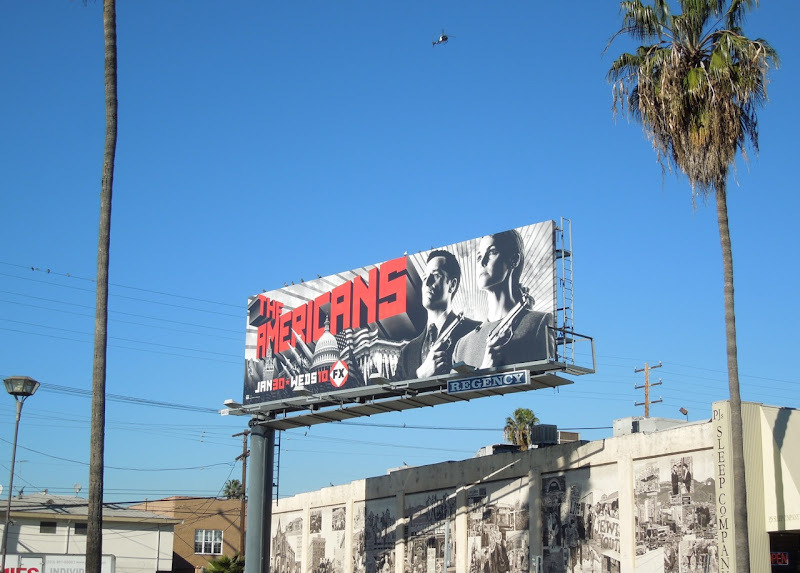 Daily Billboard loves the juxtaposition of the show's patriotic title with the Russian Cold War style propaganda imagery, plus the simple red and mono colour palette really stands out against the blue California sky. 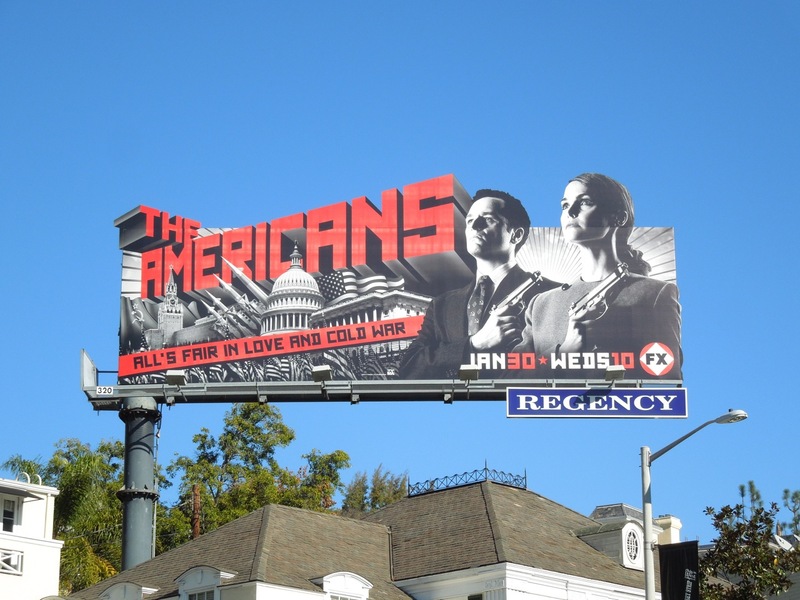 This tale of Soviet KGB sleeper agent spies impersonating everyday American citizens in the Eighties is an intriguing premise, but there's no doubt it wouldn't exist if not for the overwhelming success of Showtime's Homeland series with its domestic terrorism plots. 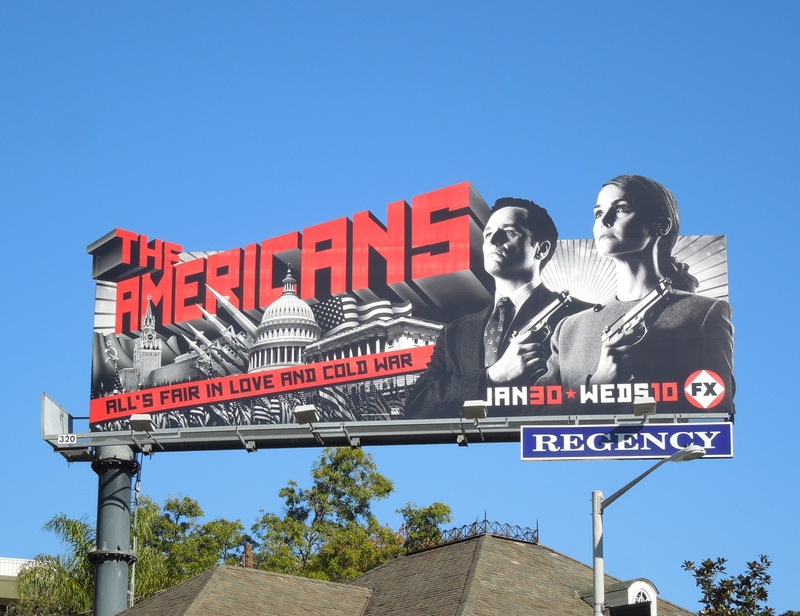 Matthew Rhys and Keri Russell star as the deep cover operatives leading a false family life in the USA, although only time (and the writing and performances) will tell how sympathetic U.S. viewers will be to super secret spies operating on American soil. 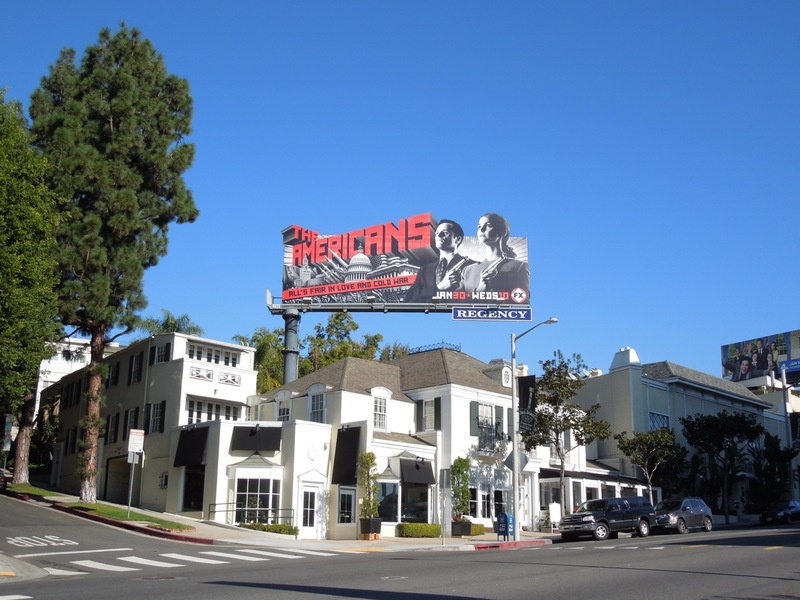 This series premiere billboard for The Americans was snapped along Sunset Boulevard when it was installed on January 2, 2013. 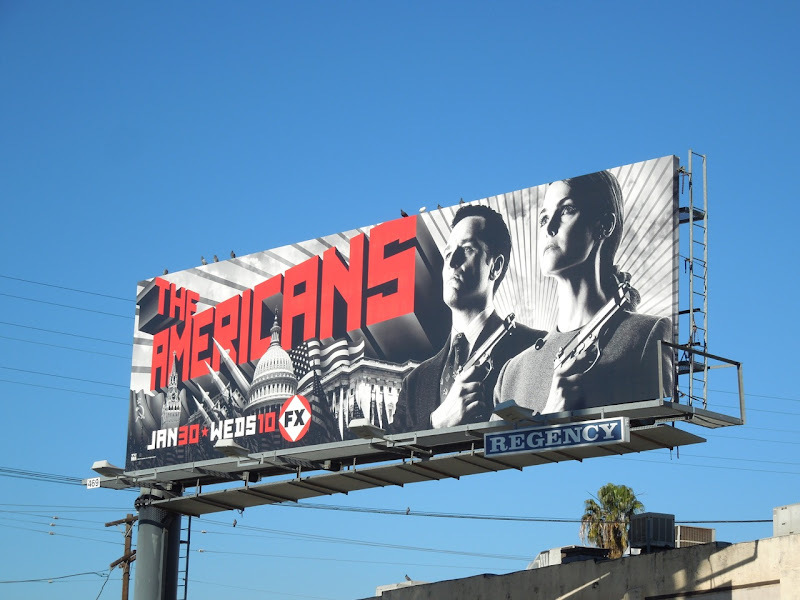 UPDATED: Here's also the equally arresting standard format creative for the new super spy show photographed along Fairfax Avenue on January 16, 2013.